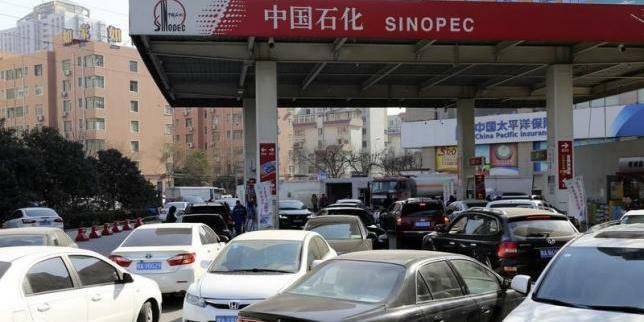 China's state-owned Sinopec will shut four oilfields this year at Shengli in the eastern province of Shandong, a company newspaper said late on Tuesday, as low global oil prices take a toll on output of the country's aging fields. Sinopec, whose listed flagship is Sinopec Corp, did not immediately provide any comment. The Shengli field, which has been operating since 1974, lost 9.2 billion yuan ($1.41 billion) in 2015, 2.9 billion yuan in January this year, the paper said, due to tumbling global oil prices. ​China is the world's fourth largest crude producer, with an output of 4.3 million barrels per day in 2015, up 1.7 percent, but has felt the pressure from global prices that have fallen 70 percent since mid-2014. The country's central economic planning commission said in January that on average domestic crude production costs more than $40 a barrel. Benchmark Brent crude was trading just under $32 on Wednesday. 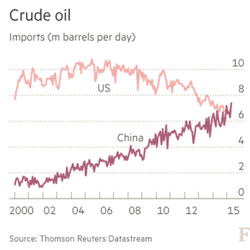 ​​China's imports of crude oil climbed almost 9 percent in 2015 to 6.71 million bpd. Growth in imports is expected to continue as China takes advantage of low prices to fill strategic reserves and as oil demand continues to rise. Regulators are now allowing some non-major refineries to directly import and use imported crude oil. ​Production at Shengli already appeared to be falling since last year. Between January and July 2015 - the latest figures available from China's official state news agency, Xinhua - Shengli produced 543,700 bpd of crude oil, as compared with 557,400 bpd in 2014. 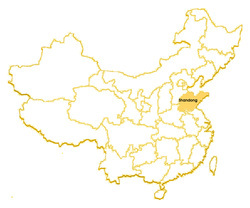 ​Production at Daqing, the country's oldest and largest field by output, fell roughly 12 million barrels, or 4 percent, in 2015, data from Xinhua showed.